Today (18th March 2016) is the sixth National Day of Action against Bullying and Violence. 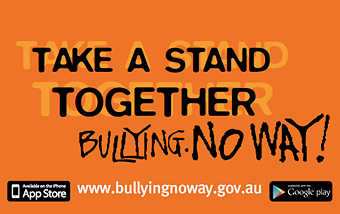 This annual day is Australia’s key anti-bullying event for schools, and encourages people to ‘take a stand together’ against bullying and violence in schools, the classroom and beyond. Use this National Day of Action against Bullying and Violence to share your anti-bullying policies, strategies and programs with your community. Help deliver a powerful message that bullying and violence is never okay!